We made sure that DSS is not only efficient but also functional and easy to use. We want to protect Your important documents and make the process as simple as possible. In result, You need only two mouse clicks to make security happen. Really! DSS was created in such a way, that it supports the applications You already have and use every day. What we mean, is that DSS connects with Your office software and works together with it. The connection is so close and intuitive, You won’t even notice DSS during Your work. Not only is it easy to use, DSS is also easy to implement. Thanks to it’s simple, efficient design DSS can be instaled on Your premise in a matter of 5 minutes. The same goes for learning how to use it. No trainings, no courses – all You need is a simple introdution into how to use it. A simple design, allows for small and fast changes, enabling DSS to be integrated into Your Companys Operating System (OS) and functional systems (ERP, CRM, ect.). No matter the version of Your OS, DSS is prepared to support each and every one. 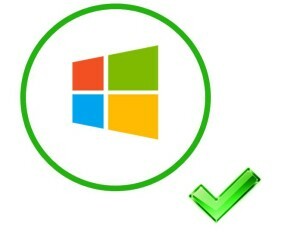 When it comes to Windows OS, You can be sure that we are already prepared for the big 10!